These fully equipped studios feature a bedroom with a matrimonial or double bed, independent kitchen and fully equipped bathroom. All our studios are located on the ground floor. The studios of the HLG Binivell Park Apartments are equipped with services designed for your rest, as fridge, TV, TDT, free cot (on request), fully equipped kitchen with microwave on request, Cleaning is made 2 times a week including bed sheet and towel change. Maximum capacity for 2 adults. 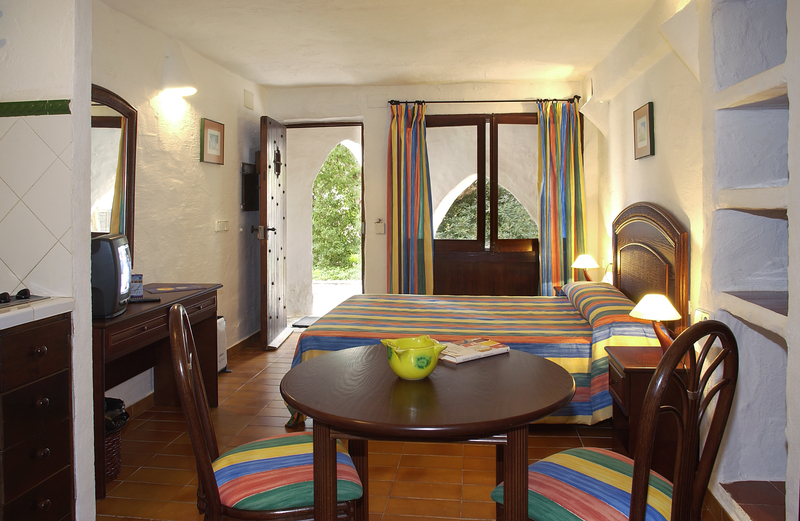 A studio for 2 people in San Luis, Minorca.